Most people only know that roulette is simply roulette, and they don’t know that roulette can be French, European or American. These are the most widely and basic roulette variations with their own features. 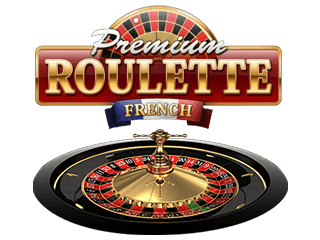 In this text we will introduce French roulette and all of its peculiarities, as well as a couple of online casinos where you can play the game safely. The information found here will be enough to incite you into experimenting with French or maybe with other kinds of roulette. 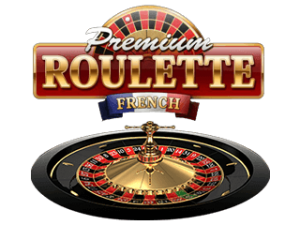 French roulette is commonly played in France, but nowadays people play it everywhere, especially at online casinos. Although the basic concept of roulette appeared in France sometime in the dark ages, this particular version of the game was also developed in France, but much later. It is not much different from American or especially from European, and is known to give a very favorable house edge. In fact, many people cannot make a difference between French and European, and we have tried to outline them clearly below. Nobody has the accurate information of when French roulette came to be as a separate version of the basic roulette game. It was probably somewhere in the middle of the 20th century during the time when France voted gambling as a legal activity that can be enjoyed by anyone of legal age. The game was first introduced in the Grand Monte Carlo casino, but still even there people don’t know who exactly invented this variation. The common knowledge is that French roulette came as an answer to the original game that the French believed had a house edge that was too high, after which they introduced a few rules that ruled how the bet is going to be played out in certain situations. 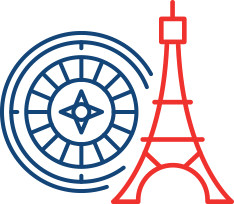 As mentioned earlier, French is usually confused with European because it uses the same roulette wheel with the same numbers and have similar house edges. But, a French roulette table is usually marked with French words, while a European roulette tables are always in English, and also the table layout may be different. French roulette has two rules: En prison and La Partage. The first rule regulates even money bets. If the ball lands on zero in even money bet, the player has the chance to spin the wheel again or he can take half of his original wager back. The other rule allows only the second option. These rules are sometimes used in European roulette too. Also, online French roulette has some additional bets called Race Track bets that can be opened by clicking the appropriate button on the interface of the game. French roulette has basically the same house edge as European, only 2.7%. But, with the La Partage rule this house edge is reduced to amazing 1.3%, which puts French roulette in the group of casino games with some of the lowest house edges. The same inside bets are used as in other roulette variations, only here you may find them in French, for example, a Straight bet is called “Plein”, while a Corner bet is called “Carré”. The payouts are also pretty much the same, a Straight bet pays 35 to 1, Split bet 17 to 1 etc. Again, standard outside bets are used such as Column and Dozen and both of them offer several betting options. The payouts are the same too: Column bet pays 2 to 1 while a Dozen bet pays 2 to 1 etc. Even money wagers are those where you win the same amount that you have wagered and pay 1 to 1. Such wagers in French roulette are Red/Black, Even/Odd (“Impair/Pair” in French), and High/Low (“Passe/Manque”). Our first recommendation is the award winning and long-time serving 888 Casino, known for its investments in proprietary casino software that offers French roulette too. Here you can make bets up to $300, but only $100 are allowed per spot, which means you won’t be able to place the maximum allowed bet of $300 on a single spot. Besides that, 888 Casino offers an immediate welcome bonus of 100%, with which your initial deposit is doubled. We have another online casino, Casino-X, with a French roulette table that is powered by Microgaming. Casino-X is known to host interesting gambling tournaments and you can become a part of its Casino Rewards program. Here you can make maximum wagers up to $80 for even-money bets, and you can enjoy an awesome $1,200 welcome bonus when you register your first account and make your first ever deposit in the cashier. The bonus is spread over your first three deposits.